Fascinating as all this is, what, you may wonder, it has to do with the topic at hand. I’m getting there. Besides these 150 titles, there was another list consisting of the most interesting or most talked-about films that had been shown to the public the previous season. The distributors of these films made them available to Bergman. 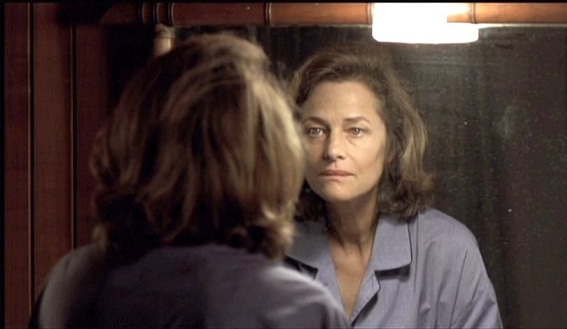 One of the films that impressed him the most was François Ozon’s Under the Sand (2000), starring Charlotte Rampling, who will receive the Honorary Golden Bear (presented for “an exceptional artistic career”) at this year’s Berlin Film Festival. Bergman thought it was superb, and watched it many times. Under the Sand will be screened in the Homage section, along with another (and more popular) Ozon-Rampling collaboration, Swimming Pool. She comes across as a very self aware person. Is Fårö island the same magical space that is part of the film Persona?